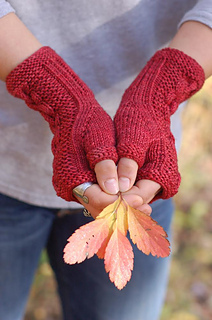 Farm to Market finger-less mittens are a form-fitting mitt with a beautifully crafted thumb gusset. 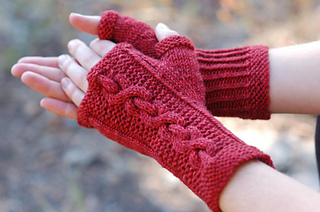 Written for DK weight yarn, these mitts knit up fast making them great for gifts. 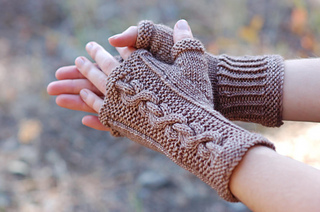 Instructions for this pattern are written for using the magic loop, but you may easily substitute your preferred method for small circumference knitting. 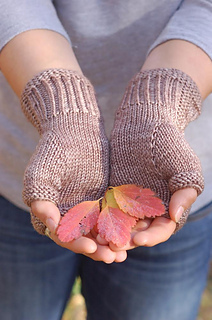 All measurements are given in US and metric, and the cable pattern is charted and written for personal preference. 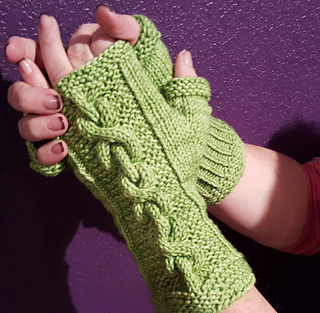 If you enjoy this pattern, check out the matching hat: Farm to Market Hat. 22 sts and 32 rows to 4 in / 10 cm in Stockinette stitch using larger needles. Measure hand around the palm above (but not including) thumb.